Cold Dude Computers: Ultimate Jam 2012 Party Info! 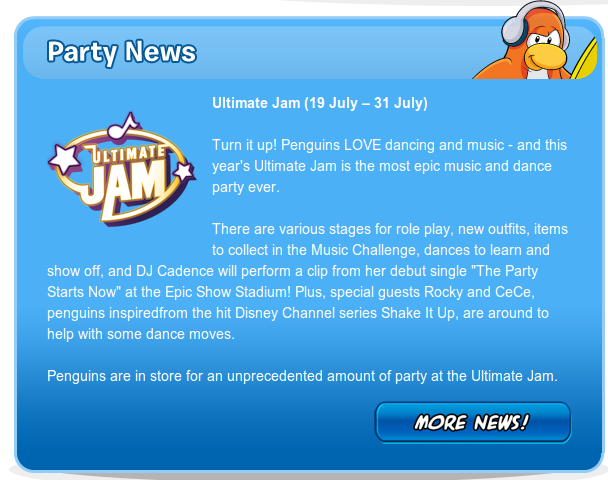 Ultimate Jam 2012 Party Info! There is a lot of information there so read through it! If you click on more news, all it does is take you to Club Penguin's homepage. Have you read through this yet? Leave a comment and let us know!